The city of Cincinnati has been successful so far in court challenges against its historic designation of the building, which prohibits its demolition, but time and weather continue to eat away at the structure’s integrity. Meanwhile, the nonprofit King Studios—a collaboration between Xavier University and the Evanston community—launched an education program last fall to spread word of King’s legacy. Materials have been used by 34 local schools and organizations to reach nearly 1,800 students, and a corresponding website hosts legacy interviews, historical timelines, and digital archives. 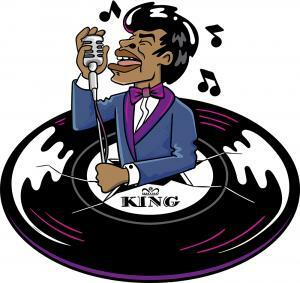 And this winter, Cincinnati Playhouse in the Park will stage a world premiere musical, Cincinnati King, telling the King Records story and featuring label hits like “The Twist” and “Fever.” Proving even as the building crumbles, the music lives on. Bucky Herzog operated a studio on the second floor of 811 Race St. from 1945 to 1955; it’s where Hank Williams recorded some of his biggest hits. The Cincinnati Music Heritage Foundation now hosts regular events there, and Herzog Music’s instrument, repair, and record shop is on the ground floor. A historic marker outside U.S. Bank Arena honors 11 local music fans who died in a “festival seating” stampede before The Who’s 1979 concert, and The Who Concert Memorial Foundation still provides scholarships at high schools the victims attended. Three outdoor murals in Over-the-Rhine celebrate our colorful music heritage: James Brown croons and Rosemary Clooney swings on Liberty Street, while Elton John, Ruth Lyons, and others harmonize outside WCET’s TV studio. the 1930s, including music shows like Renfro Valley Barn Dance and Boone County Jamboree.